In the earlier days, one had to visit the Regional Transport Office (RTO) personally to understand the status of a driving license. However, ever since the traffic and road transport services have been digitized, availing them online has become easy. Applicants can check the driving license status from the comforts of their home or offices. As one can access these services through their smart-phone, they can check driving license status from virtually anywhere. How to Check Driving License application status? As mentioned earlier, it is very easy to check the status of your driving license (DL) online. When you apply for your DL online, note down the application number. To know the application status of your DL, type – “Driving License application status India.” The results for your state’s RTO and Parivahan website will be displayed. Visit any of the links and punch-in your application number and birth date. Once the site loads, the status will be displayed. What is a Driving License? Driving License is an important document which authorizes a person to drive a vehicle in India. A driving license is also an identity proof as the holder’s photograph and current address are mentioned on it. A driving license can be of multiple types. The type can depend upon the class of vehicle the holder is authorized to drive or the purpose of using a vehicle. Different types of driving licenses are learning license, permanent driving license, and an international driving permit. How to apply for a driving license? It is possible to apply for a driving license in two ways. One is by personally visiting the RTO and other is by applying for an online driving license. To get a driving license online, you first need to apply for a learning license. You will be issued a learning license after you pass an online test. After 30 days of issuance of a learning license, you can apply for a driving license. Visit your nearest RTO or apply for an online driving license. Fill the application form and submit the necessary documents. You will be tested for your practical driving skills. If you pass the practical exam, a permanent driving license will be issued to you. A driving license is valid for 20 years from the date of issue. It is to be renewed at the time of expiry or when the applicant reaches the age of 50. After renewal of a DL, the validity of a license for a private vehicle is 5 years and for a commercial vehicle it is 3 years. #1 Pay attention – You need to display your multitasking skills while driving. Doing things like operating an automobile, keeping an eye out for the surrounding vehicles, keeping the speed under control, etc. require simultaneous attention. #2 Avoid intoxicating substances – The effects of consuming intoxicating substance are poor decision making and weak scenes. It will affect you sense of sight and hearing. This could be fatal for you as well as others. #3 Regular Maintenance – It is advisable to get your vehicle serviced at regular intervals. The better you maintain your vehicle the better it will perform. Also, get your vehicle serviced from an authorized service center. Acquiring a driving license is not a difficult process, but once you receive one, it becomes vital for you to drive responsibly. It is not only the matter of your own safety but also of others who might get affected if you are not careful enough while driving. 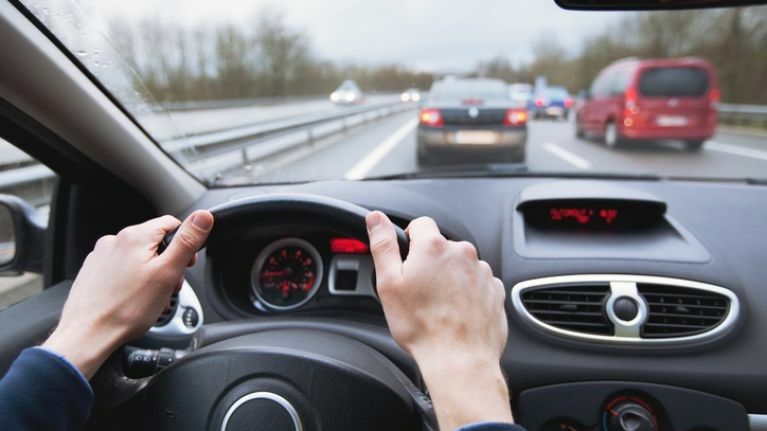 Following rules and regulations is the first step towards becoming a safe driver. Keeping your cool after a mishap will further help in keeping the situation under control.